Br. Tony Arnette was installed as the Treasurer of Phoenix Lodge No. 8 A.F.& A.M. on 4 January 2014. In other bodies Br. Arnette is also Eminent Chief of Shamrock Thistle and Rose Council No. 2, Treasurer of Phoenix Chapter No. 2 Royal Arch Masons, Fayetteville Council No. 27 Royal and Select Masters, and Palestine Commandery No. 20 Knights Templar. He is a member of AMD Valley of the Cape Fear No 24. 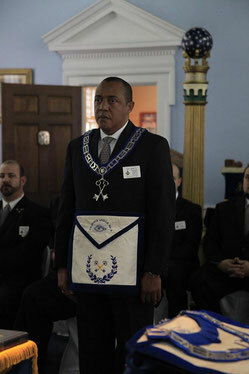 He is also a member of the Order of the Eastern Star, a Noble of The Sudan Shrine (AAONMS) and a 32° the Scottish Rite Mason of the Valley of Raleigh A.& A.S.R. S.J. where he serves as a member of the KSA. He is also a founding member of the Lafayette Chapter of the Order of Amaranth.